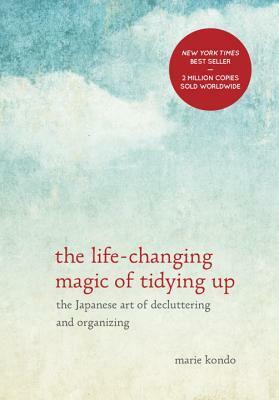 I recently read Marie Kondo’s brilliant book, The Life Changing Magic of tidying up. I thought I knew a thing or two about tidying, I’ve always found tidying and decluttering quite therapeutic, but this lady really is an expert. We shouldn’t be too surprised, she confesses to having enjoyed tidying up since she was five years old. I highly recommend the book for some of the more practical tips that I only touch on here. 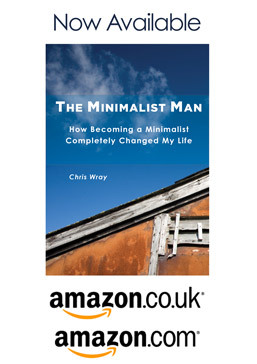 I look at minimalism from perhaps a more philosophical perspective, and tend to miss some of the real details that I know some readers love. Tidying has a process. I usually spend 15 minutes decluttering each day, and occasionally work on a room. Marie works on categories of stuff, clothes, books, etc. gathering them all together in one place before sorting and discarding. Then follows her tried and tested process. She is an advocate of tidying once, and that’s it. Tidying shouldn’t last a lifetime. She’s spent way more time studying this than all of the minimalists I know of. A lifetime as she admits, and now runs a business helping other people tidy. That you should not keep manuals and instructions for electronic items. Everything is available online now. I tested this as I wasn’t completely convinced. Sure enough the USB Microphone manual I picked at random was easily found by Google in .PDF format. I threw out the small folder of manuals I had there and then. You can find out more on YouTube, a short interview is below, but if you have the time she also did a talk at Google, part in Japanese with translator. But the key take away for me was that she asks a simple question when handling everything she and her clients own; -“Does this item spark joy ?” A phrase that is now firmly embedded in my own decision making when it comes to keeping or discarding stuff. An inspirational book. Marie helped me let go of all my sentimental items. She really knows her stuff!